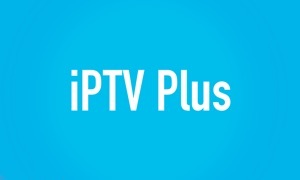 SAT>IP TV for Apple TV by SES S.A.
Watch Live TV directly on your Apple TV and next to your favourite apps. The SAT>IP application lets you watch satellite, terrestrial or cable TV directly on your Apple TV if you have one or more SAT>IP compliant server device(s) on your home network. The application works with built-in m3u channel lists or you can load your own m3u channel lists. The SAT>IP app works with SAT>IP compliant broadcast tv server devices on your home network. A list of such server devices can be found under www.satip.info. SAT>IP broadcast server devices connect on one side to a satellite, terrestrial or cable antenna and on the other side to your in-home IP network. The SAT>IP app then communicates with your server(s) and allows you to select and display live tv services. The SAT>IP app uses libvlc for decoding and displaying of video services.